Baby Goats at the Farm!! In 2001, my first job out of college was at the Atlanta Zoo. I have always loved animals and as a kid I read lots of books about zoo keepers, I read the magazine Zoobooks and I went to Zoo Camp… so naturally I wanted to give being a Zoo Keeper a try. But when I went for my interview and they told me I would be working with goats and sheep in the children’s zoo… I turned up my nose. I thought, who cares about goats and sheep. I saw them merely as stepping stones to the more interesting animals, like orangutans, until I met Laverne. Laverne, the African Pygmy Goat, stole my heart. And from that day on… goats and sheep have played a reoccurring theme in my life. 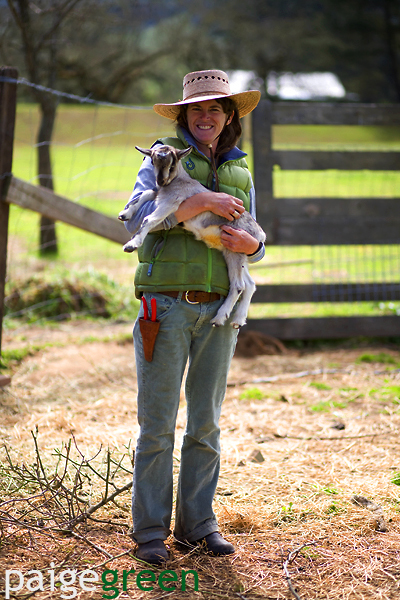 Now, I think there is almost nothing I love more than baby goats… and at Windrush Farm, my fiance’s mother’s farm and where we lived for 2 years, there are three new baby girl goats. We went over today to help out around the farm, but those babies make it really hard to be productive when they are so ridiculously cute. My gardener friend Rebecca couldn’t resist them either. If you have never had the chance to know a goat, I strongly recommend it.